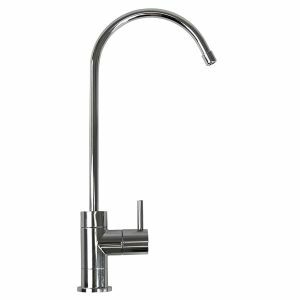 Win a new toilet or filtered sink tap! It’s been a little over a year since our last competition. It was so much fun! So we decided that given the introduction of the new poo van, we would celebrate with another competition to thank our loyal customers for their support, loyalty and referrals. We recently conducted a poll on our Facebook Page to ask the question which prize would you prefer: A new toilet the same as last year, or would our likers prefer an undersink water filtration system with a separate tap, both supplied by our good friends at Reece Plumbing, Oak Flats. It was such a close result – 59% (toilet) to 41% (filter). SO….in fairness to ALL our likers, we thought we’d mix it up, and let the Winner decide!! If you are the winner of our competition (entries earned by liking the page and sharing the post) YOU get to choose between the two prizes. That way, you get whichever one you want most. We’re all about making our customers the happiest customers around. The Mizu undersink water filter system uses cartridges to purify drinking water for you and your family. Worth around $650. 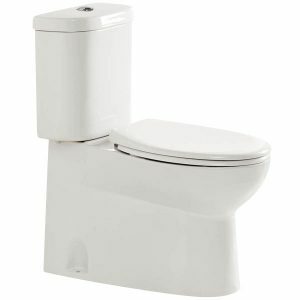 The American Standard Studio back to wall toilet – with one of the greatest inventions to ever be added to the toilet (especially if you have kids around) a soft close seat! Worth over $700. Winner will be chosen at random. Good luck trying to decide! Competition closes and winner will be announced 18th October 2018.